Have you ever wished you had an iceless cooler that will last days in the summer without refilling it with ice packs? It seems your wishes are closer now than ever. Thermoelectric coolers offer greater versatility than conventional coolers. As they are compact & portable, you can carry them in your car, while it keeps your food & beverages cold throughout the trip. 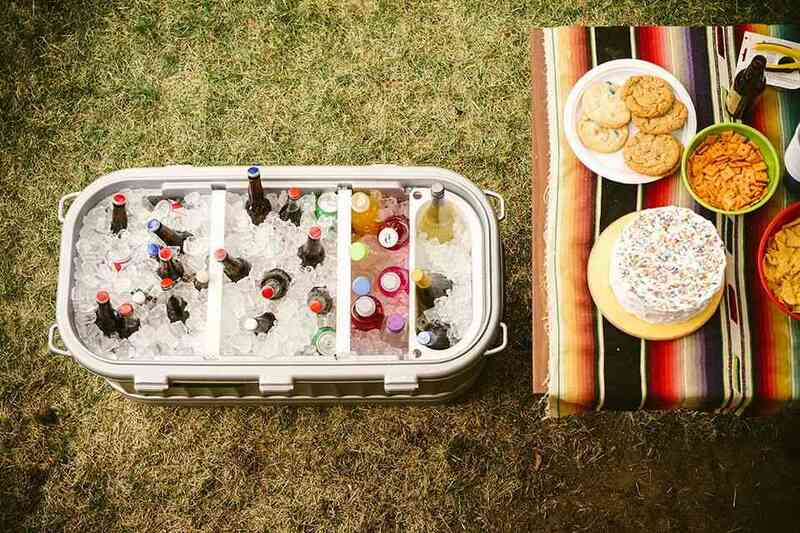 All you have to do is plug the cooler into a power source to get your food and drinks cold. Aside from ice retention, some electric refrigerators can keep your food warm too. 2.6 Difference between compressor based 12v refrigerator and regular coolers? A Thermo-electric ice chest is what you need if you are looking for a portable chest for your next camping or tailgating trip. 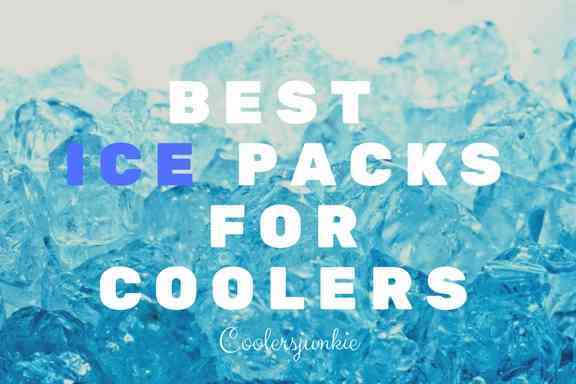 We’ve also included the best 12v coolers, which are built to keep ice for extended periods just like regular refrigerators. To help consumers compare the best electric chest for your needs, there’s a small buying information too. 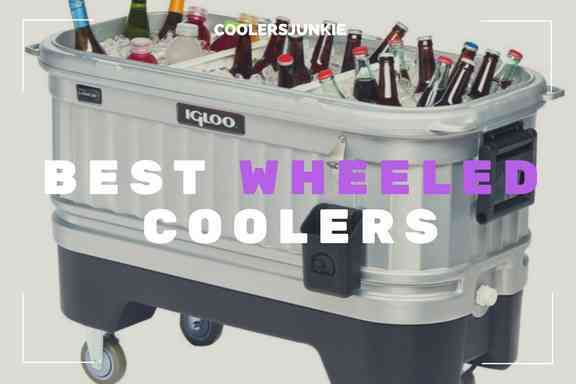 Most of the cooler enthusiasts know of the igloo company because of their top of the line ice chest products. As a matter of fact, the Igloo is one of the best alternatives to Yeti coolers. Like other igloo chests, the igloo iceless thermoelectric cooler is a top of line electric cooler. The Igloo cooler offers a stylish and sleek look. The cooler is alluring with its grey body and white lid. 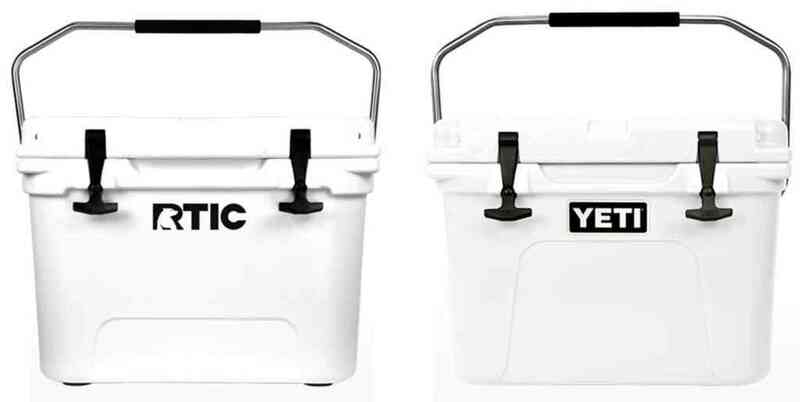 It comes in 26 and 28, 40-quart sizes, the cooler has enough space to fit in a considerable number of drinks. With that said, igloo includes molded hands for easy lugging around. One cool thing is the high cooling performance, which can easily get cold to 36 degrees Fahrenheit. More to it, this cooler is compatible with any 12v Dc for power. We didn’t find any problem worth mentioning. However, some users complained of the AC adaptor cord having issues after a few days use. We’d recommend you buy Wagan power adaptor, as it is tested to be durable. 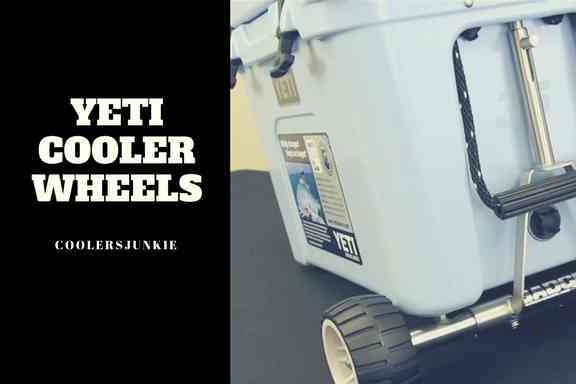 This 12v cooler is undoubtedly one of the best, the quiet brushless motor and cooling fans freeze your drinks without making those grumpy sounds. Everything screams durability on the Engel Marine freezer. 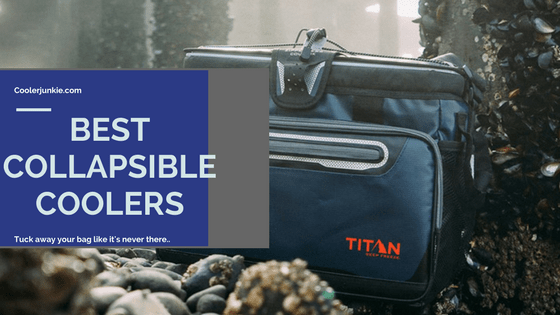 Whether you are looking for a portable fridge that you can take with you in your car or just any rugged thermoelectric cooler, the Engel Marine will fit the bill. You should know that the Engel marine fridge freezer is an adjustable compressor-based refrigerator, which is more expensive than a regular electric cooler. Assuredly, they can freeze drinks and beverages down to extreme temperatures. It comes with an AC/DC refrigerator which allows you to plug into any power outlet in your car. Don’t have a power outlet? Stay calm; the fridge is solar rechargeable. 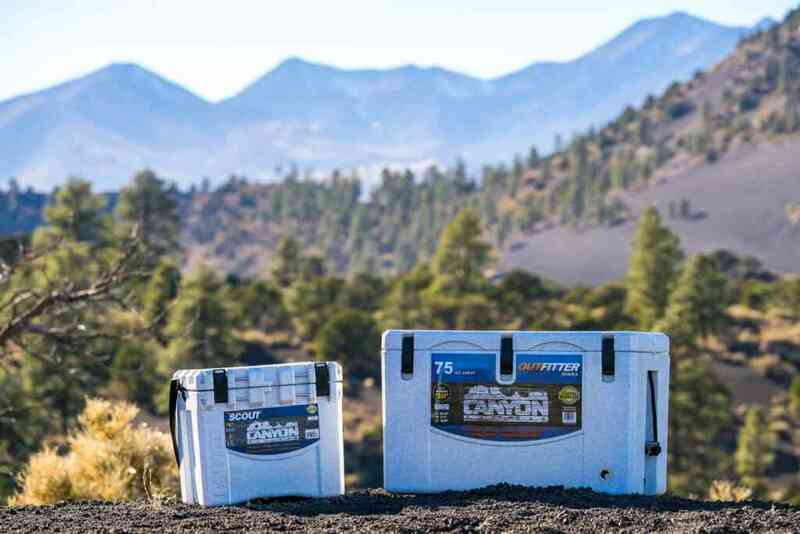 The cooler has a top-opening lid designed to keep cold even while the cover is open. Ruggedly built, this freezer is durable and corrosion free, making it perfect for outdoor occasions. The swing motor has a low amp draw of 1-2 Amps/h, which requires less than 40 percent lower than traditional compressors. Coming in a 40-quart size, you’ll have enough space to store your drinks. Heavy duty removable handles are fitted to the sides that allow for lifting and carrying. The Dometic is a 19-quart portable refrigerator with a capacity of 19 cans and enough space to store some snacks. 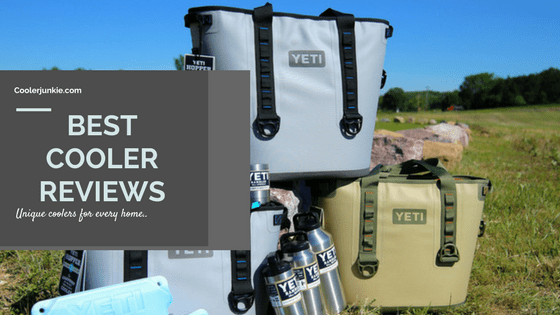 Compact and portable, it can easily fit into your car and its perfect for tailgating and camping purposes where you need to keep your drinks cold when on the road. 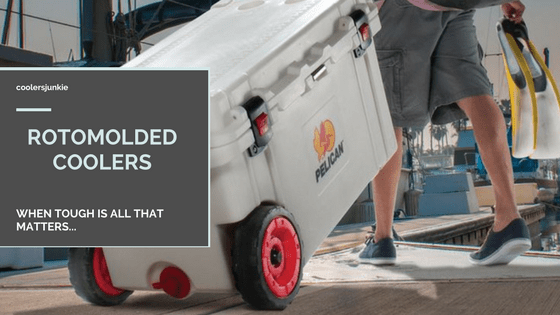 This 12v cooler can cool temperatures down to 30 degrees F. Thanks to the high-tech compressors, ice stays frozen for extended periods.The detachable lid is what sets this cooler apart, it secures the lid and seals tight. Simply put, Dometic is one of the best electric coolers you can splurge on. Get this iceless cooler now and save yourself from the hassles of buying ice packs. With a 40 quart capacity, the Coleman can fit in 44 cans while you still get a decent space to store snacks. Unlike most electric coolers, it has a quiet motor charged by a 12V power outlet. One of the best part is that you can either use it as a mini refrigerator or traditional cooler chest. This inexpensive cooler is built to get as cold as 40 degrees. Never get your drinks, beverages, or accessories mixed, there’s a tray shelf that keeps everything in its place. Another great feature with this cooler is the door, which is opened from left or right. Just like most of the coolers on the list, you will have to purchase the Ac adaptor separately. With that said, the ice retaining performance is respectable on all fronts. As soon as you set your eyes on this router, you will like the blue design with streaks of white. It comes with a classic design that you will hardly find on any electric cooler. Equipped with powerful Danfoss compressors, it enhances quick refrigeration, you’ll able to get your food and drinks ice cold in the shortest time possible. Even when your vehicle is off, the ARB fridge is built to last without draining the battery. The 63-quart model is ideal for friends and families, as there’s enough space to store lots of food and drinks. ARB was also kind enough to include a control panel with large buttons, and a bright LED display. However, that’s not the best feature of this device. The highlight is the internal LED light that illuminates various cooling compartments, enhancing quick access to the items inside. As for the downside of this 12v cooler, the price stands as the biggest turn off for most users. Aside from that, the cooler is probably the best thermoelectric chest on the market till date. It gives an outstanding performance and doesn’t give any issues. Conventional coolers are easier to use and manage than electric coolers. The latter requires a learning curve, however, it is not rocket science. While they offer more versatility than a conventional ice chest, it has some faults too. let’s look at some of the things you need to know before purchase. Did you know that Thermoelectric cooling technology utilizes the Peltier effect which allows the temperature inside to drop?. but what you didn’t know is that this mechanism can rapidly drain your car battery. Especially when you are charging while the car is not running, many users have reported it to deplete the battery. Are you beginning to change your mind about buying the electric model? Well, fear not. To avoid the catastrophe above is simple; don’t plug your cooler when the car is off. Although we cannot certify the level of risk charging the product pose to your car battery, we advise you to buy a separate solar generator. You are thinking, what’s the use of a fridge when a 12v cooler can ice your food and beverages which cost less? Slow down, it is important to know while these electric models can cool down items, it doesn’t have the capacity to freeze as much as fridges do. As it runs under 40°F below the ambient temperature, you won’t get the satisfaction of an actual fridge. Many users have reported an incident were the chord get extremely hot and burns. However, the good side is, after replacing the chord with a more expensive type (quality), users reported less occurrence of burning or the cord getting hot. For different purposes, there are many electric model sizes that are suited for various functions. Whether it’s tailgating, camping or picnicking, you’ll find a product that is built to cater for specific needs. The portable or compact model can fit into the back of your car, SUV or truck without hassles. It is relatively lightweight and makes transportation a breeze. This product is suitable for short trips and can cater for a small company of people, having enough size to fit in 10 to 15 cans. These are the most expensive models you’d find on the market. Most 12v coolers are not going to freeze your items. Fridge coolers are exceptions. Owing to their steep prices, they have all the clout to make your stuff stay cold even after hours when it’s unplugged from a power source. For example, the Engel Marine Fridge Freezer is rated to have longer ice performance. Large storage coolers models start from 50 quarts and could go as high as 80 quarts. Obviously, they are for events that require a lot of space. You’d fit it hard to fit in bigger models into the back of your car. Do electric models need ice too? It depends on the type of cooler. While some coolers may accommodate ice, some are built with cooling fans. As a result, melted ice can get into the cooling unit and ultimately destroy the cooling mechanism. Other models aren’t affected by ice, however, ice packs are more compatible with electric chests. They provide enough ice to keep your drinks cold and food fresh for longer trips even after it’s unplugged from the power source. Can 12v coolers kill your battery? Yes, they can kill your battery especially when your car isn’t running. It is advised to avoid charging your cooler when the vehicle hasn’t been running for 3 hours. To be on the safe side, totally abstain from charging the cooler when the car isn’t active. In this regard, you can buy a separate solar generator. However, this is totally dependent on how strong the battery is. How long the unit hold ice without power? As I’ve said earlier, having your cooler properly sealed from the lid to base will extend the cooling performance. Frequent openings lead to an exchange with atmospheric air, leading to rapid loss of cold. If your cooler is properly sealed so that there’s a limited exchange of air, you should expect almost the same performance with an average cooler. How does an electric cooler work? Thermoelectric cooling uses the Peltier effect to create a heat flux between the junction of two different types of materials. A Peltier cooler, heater, or thermoelectric heat pump is a solid-state active heat pump which transfers heat from one side of the device to the other, with consumption of electrical energy, depending on the direction of the current. Such an instrument is also called a Peltier device, a Peltier heat pump, solid state refrigerator, or thermoelectric cooler (TEC). It can be used either for heating or for cooling, although in practice the main application is cooling. It can also be used as a temperature controller that either heats or cools. Do all the coolers feature adapters? Most coolers come with adapters, albeit not all models come with them. If your unit doesn’t come with an adapter, you can buy from Amazon as they are cheap. Where to buy an electric cooler? Buying an electric box could cost as much as a fridge. To find the best deals online, Amazon is our number one go-to resource. The best part is you’ll learn from people’s experience who have bought the product you’re intending to purchase, which enables you to all the insight to make the right decision. Where can an electric cooler be useful? They can be used for many activities, depending on your what needs are you can use it in your Truck, Rv, and many expeditions. Just make sure theirs a power outlet to charge it. Can you fit the cooler in tight spaces? Difference between compressor based 12v refrigerator and regular coolers? 12v coolers are best for hot and extreme weather conditions especially in the summer when ice packs melt quickly. 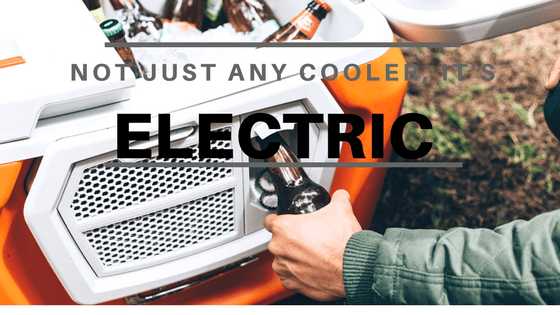 Unlike regular coolers which you need to pre-chill the cooler, food and beverages before usage, they can keep stuff cold as long as it’s plugged into a power source. That said, electric coolers are compact designed and portable, making them suitable for outdoor activities. I must admit, this factor is subjective as everyone has a size which fits best. Size should only matter with the capacity of people that intend to use the cooler. 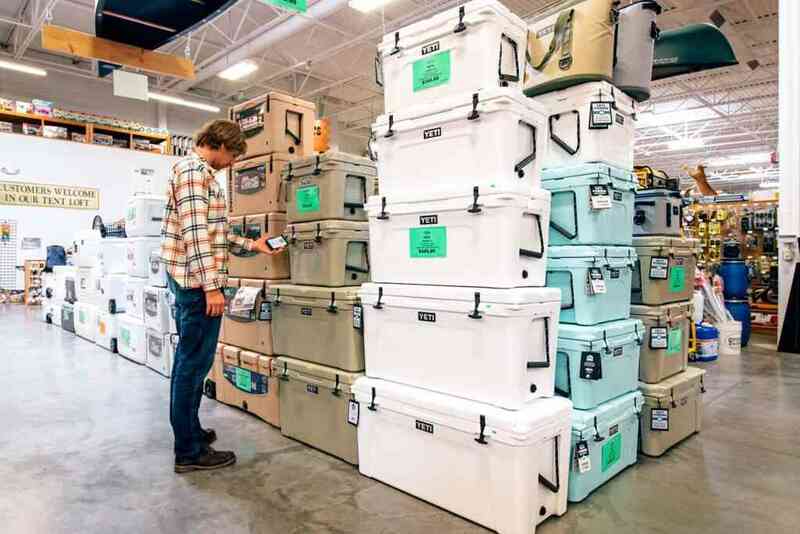 The size of a cooler should only matter as much space as it has. 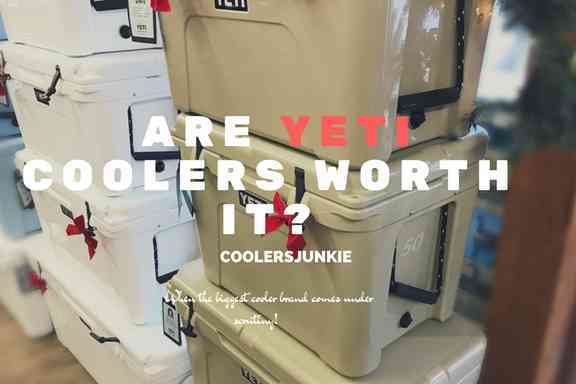 We were surprised that some small coolers utilize their storage space more than large coolers. Another helpful tip is to check the can(s) capacity of the ice chest to know how much space it holds. Efficiency is an indispensable factor when you are looking to buy an electric cooler. The thermoelectric should be able to cool your drinks and food in the shortest time possible. Our personal favorite, the Engel Marine fridge freezer had favorable reviews by consumers. While the cooling ability is important, it should be able to do so without burning the power source. Thermoelectric can do more than just keep stuff cold. In fact, the high-end electric chest comes with warmers too. Consumers that are always on the road may require a warmer for their foodstuffs. Some electric coolers with warmers worth checking out are the Wagan (EL6224) and Knox Electric Cooler and Warmer for Car and Home. No matter how good a cooler’s ice performance is, but the lid doesn’t seal properly, you might as well forget buying it. All the coolers on the list have excellent sealing properties, enhancing the icebox to stay cold and block out heat from coming in. By reading this far, it’s ideal to say you know all there is to choose the best electric coolers available in the market. The most advantageous reason for using an ice-less cooler over a conventional type is versatility. Electric ice chest have an edge over regular coolers as they utilize power to get your chest iced. The models included in our list are highly reliable to keep your drinks cold and food fresh as long as it plugged to a power source. It no secret this model is quite expensive, thus, you have to make sure you treat it like an investment that will last years, entertaining you with coldness in the summer or on a long trip. If you like electric coolers you are more likely to like coolers with speakers or our cooler reviews. Get yourself one of this models and meet me on the road.